Ransomware attacks are pervasive. 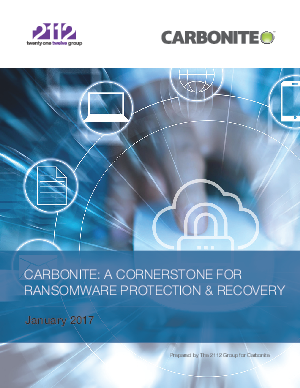 More than 4,000 ransomware attacks happen every day, and the volume of attacks is increasing at a rate of 300 percent annually. According to an IDT911 study, 84 percent of small and midsize businesses will not meet or report ransomware demands. equivalent of catastrophic data loss, except that all the data remains on your systems - rendered unusable.